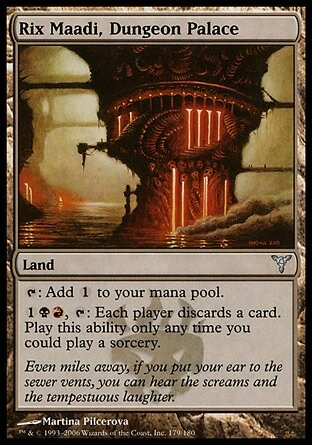 Prahv is destroyed, but that isn't the only thing going on in Ravnica. Our elves are going to have to deal with more than just their kidnapped son. 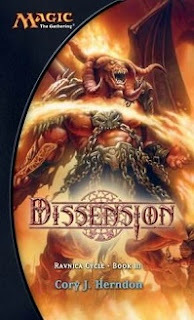 Are you as hungry as a demon? 'Demon-size' your order for only a few zinos - ask your server how! The caravan has stopped beneath the very center of the City of Ravnica in Rix Maadi , and it's as terrible and chaotic as he ever imagined. It's a place of smoke and fire with fights and lewd acts and murders taking place all around contrasted by the cackles of laughter and the hawking of goods. 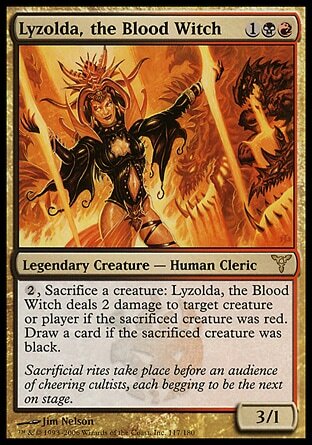 But what draws Myc's attention is Lyzolda, the Blood Witch . With her pupil-less eyes, she examines each of the recruits in turn, reaching in to each of their cages and drawing blood from their foreheads with a swipe of talon like finger tip. She burns Orval's blood in a fire and knows he's not the one. Neither is Aklechin. Lily doesn't past the test either, but her defiance and screams amuses the witch to the point that she claims her as a new servant and orders her to be taken from her cage. Myc is last and there is no doubt that he's the one. Myc finds himself dragged from his cage in a direction opposite that of Lily. He tries to put on a brave face but soon he gives in to his terror. They secure him to a rusty mock-up of the great Selesnyan tree secured to the edge of a lava pit. Lyzolda waves her arms and chants in a language he doesn't understand. Except for one word. Rakdos . Jarad's arrived and he's brought a whole search party with him. Fonn is impressed. Hippogriffs, duskbats, manticores, and some giant ravens accompany their guildmaster. There's no time to waste, so they don't even bother to land and just swoop down enough for her to vault up into the saddle of the spare bat he's brought with him. They get straight down to business and exchange information. The kids were taken back towards Ravnica. Likely Rix Maadi. Jarad shares reports of swarms of rats devouring whole undead colonies. This all adds up to the demon's return. A large boom in the distance interrupts them, it has nothing to do with their son so they ignore it and move on. It feels like the room is getting hotter by the second but Myc knows he's only slowly cooking thanks to his proximity to the lava. Razor wire now wraps Lyzolda's head and arms and she approaches him with a bowl containing some strange liquid in one hand and a wicked knife as long as his arm in the other. He's been too securely bound for his struggles to do any good and all he can really do is watch as the crowd gets the bigger, their frenzy grows wilder, and the chanting gets louder. With a final howl ending the ritual, the blood witch lowers her arms and a dark cloud of energy lifts her up from the ground towards him. Pivlic's wings are meant hopping and maneuverability not long distance flight, but they got him past the nephilim. He watches as hundreds of people are crushed or eaten and hundreds more stampede towards the city's center. The only good news is that the density of the buildings are now slowing the creatures down. Let your harbingers mark the time." Verse after verse it continues, until Lyzolda takes a finger and stirs the bowl three times and lets a few drops fall into the pit. Rakdos has always been the least attentive of the guildmasters. But every time he returns it always leads to lots of blood and death. Myc knows what is coming, and when the drops hit the lava, Rakdos emerges. Rix Maadi is a pretty nightmarish place, but it's strange imagining how this fits into the overall story. This Fonn/Jara/Myc story feel so insular compared to the other plot threads. 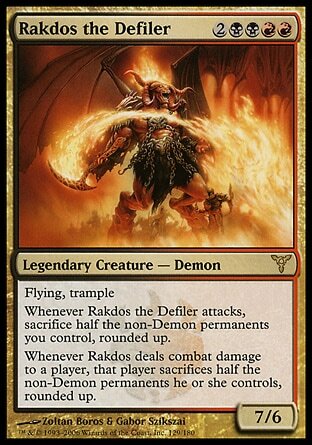 Considering that Rakdos is our cover character that's a bit strange. However inserting the Pivlic section into this chapter makes me wonder if maybe the Cult of Rakdos might not actually be completely on the side of evil, and perhaps their seemingly force of nature that is Rackdos might face off against the the force of nature that is the nephilim. 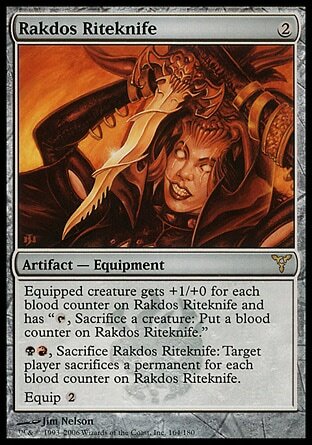 It's so obivous to make the cult of Rakdos the villains but we do already have plenty of those, so maybe they'll end up helping ot save the day purposefully or otherwise. I get that Herndon was describing the situation like it was a circus from hell . It wasn't just violence and death, but violence, death, joy, and laughter and the air filled with the buzz of excitement. But there's something I skipped over. Herndon spent more than a few sentences letting us know about the Rakdos versions of clowns. They're fat and comical, but their jackets are made of skin, their cufflinks made of bone, their top hats secured by a nail that is driven into their skulls, and they juggled flaming somethings that Myc couldn't make out but he didn't want to know. It's not his fault that hell clowns seems appropriate considering the Rakdos Carnarium card, but it doesn't quite fit in my head. I wish they were just described as entertainers and not by the word "clown" specifically. 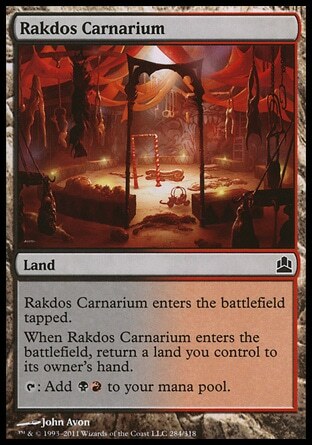 I suppose it's possible that there are clowns in Ravnica, and that the Rakdos would have their own versions. The word clown nearly breaks the fourth wall for me.